Royal Vegas Casino - Excellent Offers for Kiwis! 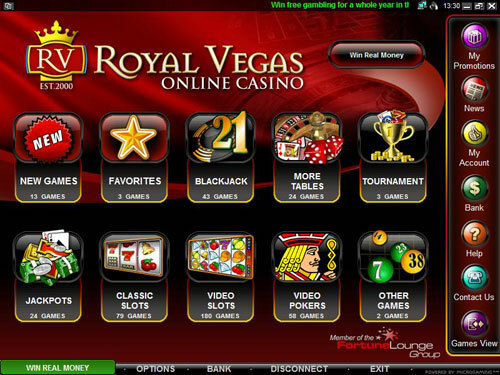 Royal Vegas casino is one of four award-winning online casinos that make up the Fortune Lounge Group. The site has received recognition in the past for its live dealer games, mobile site and outstanding customer service record. Payouts, deposits and withdrawals-related issues are answered in record time by the Royal Vegas customer service team. 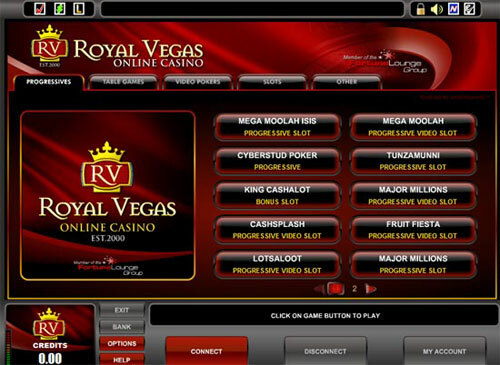 All games at Royal Vegas casino are powered by Microgaming, one of the best gaming software providers in the world. The site has a full licence from the state of Malta, along with a guarantee from eCOGRA that all their games meet fair gaming standards. 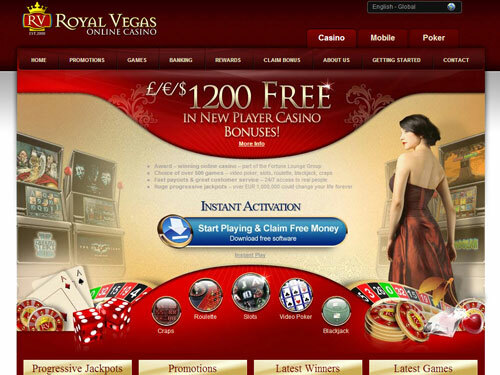 Royal Vegas casino is great for players who like to spend large amounts of money gambling online. The site offers up to NZ$1,200 in free betting money. This can be earned through the first three deposits by adding around $2,600 to your betting account. Royal Vegas gives away grand prizes every month. Some of these prizes are awarded at random, while others are given to the top performing gamblers of the month. Weekly offers include deposit bonuses and free spins on progressive slots and regular slots games. Certain online payment methods also carry a 10% bonus, such as Eco, Neteller and Skrill. Players can also use ClickandBuy, ecoPayz, Ukash, MasterCard, Visa and online bank transfers to add or withdraw money from their account. All of these payment methods allow transactions in New Zealand dollars. Live dealer games are hugely popular at Royal Vegas casino. These games operate in a similar manner to other online games, except for the live stream of a dealer that is present at all times. This adds a level of realism to online casino games. Progressive slots games are a great way for Royal Vegas customers to enjoy exciting slots while competing for large jackpots. The current progressive jackpot total at Royal Vegas exceeds $5 million.